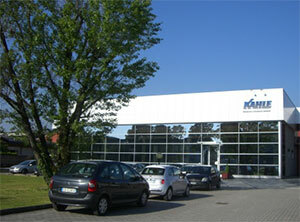 Kahle Automation -- Engineering Perfection ... time and time again. If you're looking for an automation partner who understands the precision and care required to make the world's finest medical devices, consider Kahle Automation, Engineering Perfection since 1920. Engineering Perfection requires an automation partner who truly understands the process of manufacturing medical devices. Kahle is the only large-scale automation company in the world that focuses exclusively on automated assembly equipment for medical devices. For nearly a century, Kahle has shaped the industry through the use of innovative technologies and we bring this experience to your project. Today, we create systems that handle, assemble, inspect, test and package every medical device imaginable – from syringes, tubing sets and catheters and needle products to diagnostic, pre-filled and pharmaceutical devices. Safety and quality go hand-in-hand with a successful automation project. All of our work is guided by GAMP 5 and ISO 9001 quality standards and we work with our customers to help them meet FDA 21 CFR Part 820 and Part 11 regulations. Engineering Perfection requires an automation partner who brings the best technology to your project. Regardless of whether you're looking for a system that assembles thousands of devices per minute, improves the quality and consistency of your manufacturing process or whether you're simply trying to maximize the space in your clean room, Kahle has the technical solutions to meet your goals. 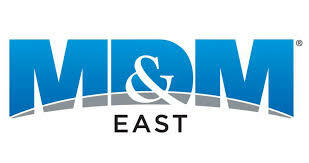 Every year, Kahle dedicates over 150,000 man-hours to designing automation systems that manufacture medical devices. This effort has resulted in the largest portfolio of proprietary automation technology in the entire industry. From this portfolio, you can choose from continuous, indexing and asynchronous motion assembly platforms that feature the latest innovations in mechanical, pneumatic and robotic assembly with premium inspection and process control operations. This flexibility allows us to create cost efficient, effective systems for projects of every size. Engineering perfection requires an automation partner that guarantees performance. Beyond creating the ideal assembly system for your project, your Kahle team is also focused on getting your machine validated promptly and transitioned efficiently into production. Further, we want to make it easy for your employees to be trained to operate and maintain the equipment. To these ends, your Kahle machine arrives with the best quality and validation documentation in the industry. CUSTOM Automation With extensive expertise in product handling for assembly and inspection, Kahle develops custom equipment for every type of disposable medical, pharmaceutical, and healthcare device. Needle Assembly Kahle Needle Assembly Systems are available in various machine configurations, depending on product design and assembly requirements. Kahle’s precision systems are capable of assembling at outputs exceeding 1,600 parts per minute. Syringe Assembly Kahle offers a complete line of Syringe Assembly Machines, whether it’s a standard design, safety or specialty syringe. The Kahle equipment can be designed to assemble and inspect the final product at outputs exceeding 1,000 parts per minute. Tubing Processing and Assembly Kahle’s Tubing Assembly Machines are available in a variety of machine platforms at various output requirements. 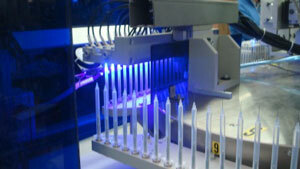 The equipment can be supplied as a dedicated machine to supply a single product or multiple configurations. Kahle also has extensive experience in tubing processing to perform tip forming and hole punching, including ultrasonic formation of the eyelets for the manufacture of Urinary, Suction, and Drainage Catheters. Glass Syringes / Prefill Assembly Technology Kahle has experience in all areas of the manufacture and processing of Glass Syringes and Cartridges, including but not limited to integrity inspections of the product, integration into Vial and Syringe barrel washing, Needle assembly and bonding to the glass barrel, in addition to any peripheral assembly of components. 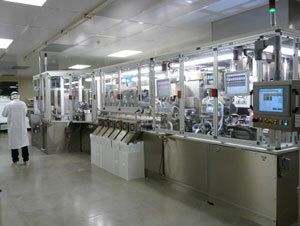 IV Catheter Assembly Systems Kahle’s IV Catheter Assembly System exemplifies an integrated approach to manufacturing. The complete line of equipment for the needle and tubing assembly, forming, and processing is integrated with the use of completely automated Rack and Conveyor systems. Safety Device Assembly Systems Kahle has built equipment and developed technology for the automation of Safety Syringes, Safety Needles, Safety Pre-fill Devices and Safety Clip and Protectors, as well as Self Destruct Products.